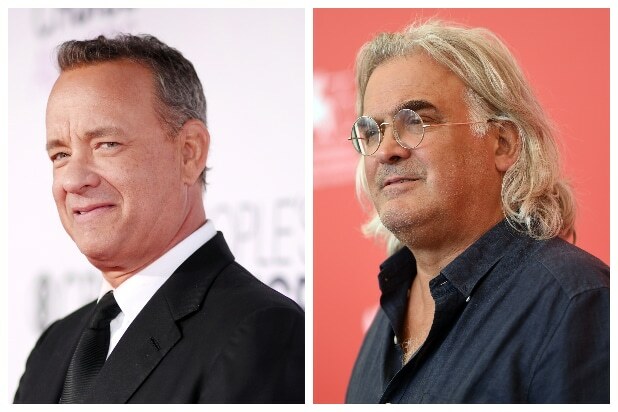 Universal has acquired the rights to “The News of the World” from director Paul Greengrass that has Tom Hanks attached to star, shifting the project from Fox 2000, an individual with knowledge told TheWrap. The move is the first such deal since Disney finalized their acquisition of Fox and announced that Fox 2000 would be closing. Greengrass’s film reunites the director with his “Captain Phillips” star. The project is based on a novel by Paulette Jiles, which was nominated for the National Book Award for fiction. Luke Davies, who penned “Lion,” is writing the screenplay. The book takes place in the wake of the Civil War and follows Cpt. Jefferson Kyle Kidd (Hanks) as he travels through Northern Texas, giving live readings from newspapers to paying audiences hungry for news of the world. He is then tasked with delivering a young orphan girl, Johanna, to her relatives in San Antonio after a band of Kiowa raiders killed her parents and sister. Captain Kidd must hand Johanna over to an aunt and uncle she does not remember — strangers who regard her as an unwanted burden. A respectable man, Captain Kidd is faced with a terrible choice: abandon the girl to her fate or become — in the eyes of the law — a kidnapper himself. Hanks and Gary Goetzman will produce the film through their Playtone banner with Gail Mutrux through her Pretty Pictures banner. Gregory Goodman, who also produced Greengrass’ most recent “22 July” and “Jason Bourne,” is also producing. TheWrap reported in March that Fox 2000 would close its doors in late March and that Disney would complete films that were currently in production. Deadline first reported the news of Universal’s acquisition.